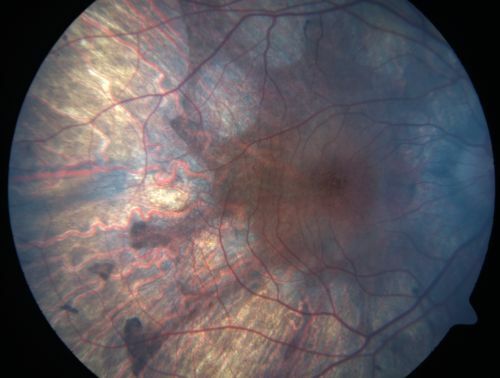 15 year old male was diagnosed with “retinitis pigmentosa” at age seven. The patient reports that his night vision is poor. He reports he does not notice a visual field change. He reports that his maternal grandfather has lost vision and a cousin has lost vision as well. He reports he has an uncle with some visual changes. The most significantly affected relative is a 26-year-old legally blind cousin.